So you’re going to have a baby. Congratulations! It goes by fast, so enjoy it. Oh, and pardon the unsolicited advice, but start saving. Now. The piano lessons. The soccer camp. The orthodontia. And then there’s college. Perhaps you’ve even begun to research the best 529 plans. You have close to two decades to save for that. But the money you really should be socking away now is for day care: That bill comes due a whole lot sooner and, in a lot of places in the U.S., it’s even more expensive per year than college. According to a study released last year by Child Care Aware America, a group of child care resources and referral agencies, the annual cost of day care for an infant exceeds the average cost of in-state tuition and fees at public colleges in 31 states. In New York, for instance, day care costs nearly $15,000 a year; average in-state college tuition is $6,500. Not only does the high cost of child care in the U.S. hit the bottom line of individual families, it also has repercussions for the economy as a whole. For one, the tremendous strain on household budgets dents consumption, which in turn hinders growth. Second, the burden of dealing with (and paying for) child care is seen as a culprit that forces women to drop out of the labor market. And finally, the difficulties associated with child care are for some a deterrent to have children in the first place. The issue there, of course, is that in pure economic terms, today’s babies are the workforce of the future. In a way, it’s odd that a universal child care plan isn’t a bigger part of today’s national debate. Numerous studies point to how important the early years are in the brain development of children. And amidst an achingly slow economic recovery and at a time when the government has taken on greater responsibility for the nation’s health, it stands to reason that the implementation of a federally funded child care network would put many American families on better financial footing.But while President Barack Obama has pledged to place low-income four-year-olds into pre-kindergarten and patchwork efforts exist here and there in states like Oklahoma and Georgia, for the most part, child care is not seen as an issue of national import. Even though the proportion of family income spent on child care has stayed constant since 1986 at around 7%, child care costs have nearly doubled in the last quarter century, according to a recent U.S. Census Bureau report. In 21 states and the District of Columbia, the average annual cost of care for a four-year-old in a day care center exceeds 10% of the median household income for a married couple with children, according to Child Care Aware America. Universal child care nearly became a reality in the U.S. In 1971, Congress passed the Comprehensive Child Development Act on a bipartisan vote. The bill, which was sponsored by two democrats — Sen. Walter Mondale, of Minnesota, and Rep. John Brademas, of Indiana — created a system of federally funded child care centers throughout the U.S. The centers, which were to provide early education for young children as well as after-school care for older kids, would also have provided medical and dental services. But President Richard Nixon vetoed the bill. Calling it “truly a long leap into the dark for the United States government and the American people,” Nixon said the Act would “commit the vast moral authority of the national government to the side of communal approaches to child rearing over the family-centered” approach. According to data from the Center for American Progress, low-income families spend a much larger portion of income on child care. In 2010, for instance, families who made less than $1,500 per month with children under the age of five spent more than half of their monthly income on child care expenses (52.7%). Only about 30% of low-income families using center-based child care, and 16% using an in-home care center for a child under the age of six, received subsidies, according to the data. Some of the working poor make do in other ways. Take, for example, the arrest of Debra Harrell earlier this summer. Harrell, a South Carolina mother, was arrested for leaving her 9-year-old daughter in a park for hours while she worked at a nearby McDonald’s. She was charged with unlawful conduct toward a child, a felony punishable by up to 10 years in prison. Her arrest sparked a national debate. 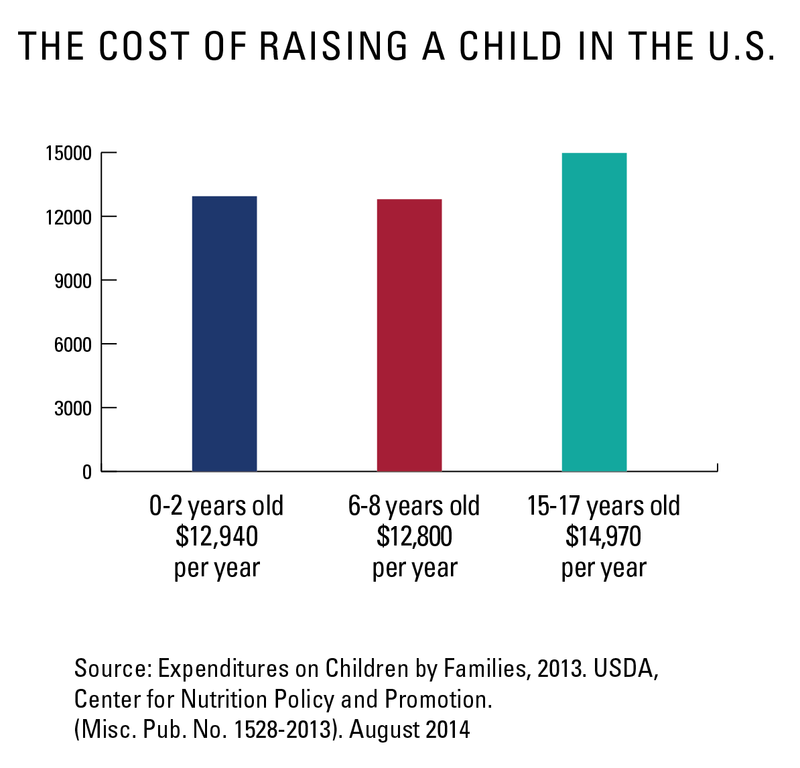 What does the U.S. do right in terms of child care? “Unfortunately, the answer is not a lot,” says Nancy Rothbard, professor of management at Wharton. “The U.S. does not offer state-subsidized child care, and its family and medical leave is still far below most other developed countries. Mothers in the U.S. are entitled to 12 weeks of maternity leave, but employers are not required to pay them during that time. By contrast, women in France receive 16 weeks of paid maternity leave; women in Germany receive 14 weeks, and women in Poland receive 26 weeks of paid leave courtesy of social security, according to figures from the International Labor Organization. Other countries that provide new mothers with at least 14 weeks of paid leave include China, Vietnam, Zimbabwe, Congo, Brazil and Costa Rica, according to the ILO. Moreover, in many other developed countries, high-quality child care and early education are part of the national infrastructure. In Europe, for instance, formal pre-primary education in the public school system is often the norm. But in the U.S. it is the exception. 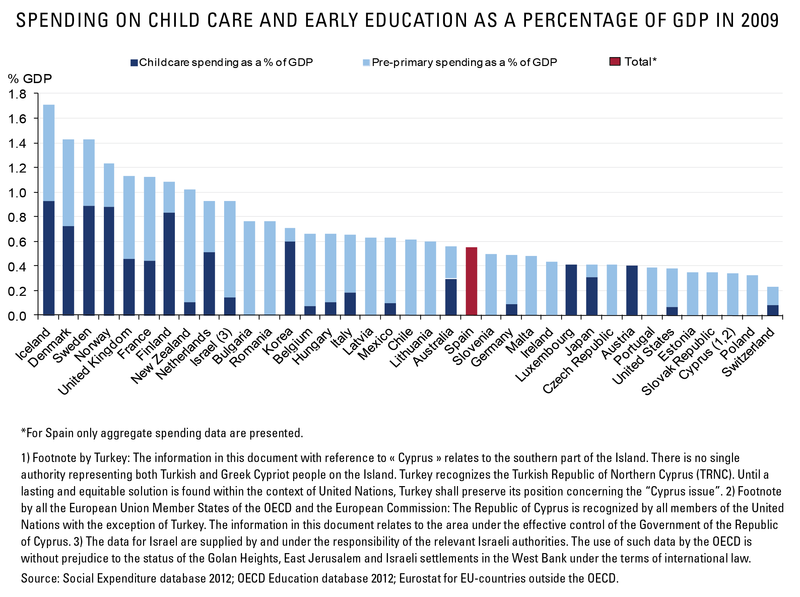 Indeed, on almost every measure of child care and early education, the U.S. ranks behind most of the other countries in the Organisation for Economic Co-operation and Development (OECD). Across OECD countries, 84% of students in early childhood education attend programs in public schools or government-dependent private institutions; in the U.S., 55% of early childhood students attend programs in public schools.In Mexico, for instance, states are now obligated to provide early education services for children over three years old, and attendance has been made compulsory for all children from this age, according to the OECD. In the U.S. the typical starting age for early childhood education is 4 years old, while in 21 other OECD countries, it is 3 years old or younger. In addition, many countries are investing heavily in early childhood programs. New Zealand and Korea have implemented early education curriculum standards; Finland, meanwhile, has focused on improving qualifications, training and working conditions for early childhood education professionals, according to the Center on International Education Benchmarking. 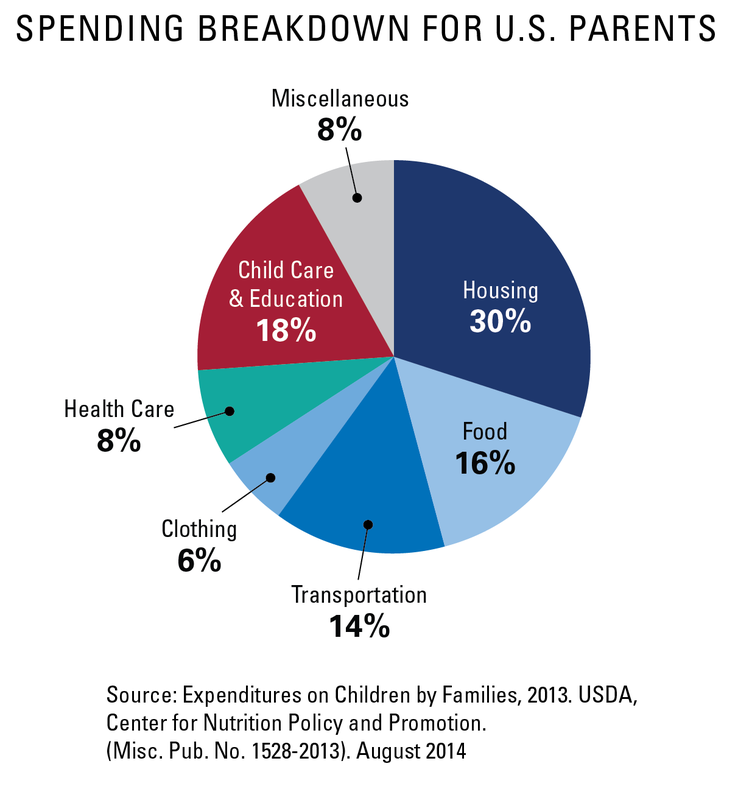 In the U.S., however, child care situations vary greatly. Numerous longitudinal studies show that children enrolled in high-quality early education programs do better in school, are more likely to attend college, are more likely to earn higher wages, and are less likely to be involved in the criminal justice system. It’s also worth pointing out that child care workers in the U.S. are very poorly paid. According to a U.S. Census Bureau report, the median wage for a child care worker in 2011 was $19,098, which compares to a median wage of $19,680 in 1990 in constant 2011 dollars. Child care workers in other countries tend to do better. According to estimates from UNESCO and OECD, the salaries of public early childhood educators from Denmark are Kazakhstan are 85% to 100% of primary school teachers’ salaries; their earnings are at parity in the Dominican Republic and New Zealand. Indeed, even in the era of Lean In, and at a time where workplace flexibility and support occupy a large part of the national discourse, child care is typically viewed as a “women’s issue.” In many families, for instance, it is the mother who interviews and primarily deals with the sitter, and it is the mother who tours the day care center and does the majority of drop-offs and pick-ups. It is also the mother who often sacrifices her career for the sake of the children. This is because many professionals view child care as a woman’s expense, and not as a family expense. “Women feel they must justify how much they earn versus how much they spend [on child care],” says Galinsky. According to a Pew Research analysis of Census data published earlier this year, the share of stay-at-home mothers has risen over the past 15 years, to 29% in 2012. Citing a 2010 Census paper, which focused on married stay-at-home mothers, the analysis said that the rising cost of child care helped drive the trend. “Especially for mothers who have more than one child under five, the cost of day care might be higher than she could support unless she has fairly high earnings,” it said. The difficulties and cost associated with child care may also be having an impact on whether or not some people decide to have kids in the first place. Consider, for instance, the work of Friedman, who is the founding director of the Wharton Work/Life Integration Project. He does in-depth research and longitudinal surveys into the lives, careers and families of Wharton students and alumni. In 1992, he surveyed more than 450 Wharton undergraduate students as they graduated about whether or not they planned to have or adopt children. In 2012, he asked the same question of the latest crop of Wharton undergraduates. In 1992, 79% said that children were in their future. But in 2012, only 42% said so. According to a recent report from the Centers for Disease Control and Prevention’s National Center for Health Statistics (NCHS), the general fertility rate for the U.S. reached a record low in 2013: 62.9 births per 1,000 women aged 15-44. The fertility rate has dropped steadily since 2007, according to the study. Of course, the high cost of child care isn’t the sole cause of the decline, but it is “a great inhibitor,” says Friedman. New York City’s vastly expanded pre-kindergarten program is another reason for optimism. The program enrolled more than 51,000 students this year, and Mayor Bill De Blasio aims for an enrollment of 70,000 next year. The expansion, which was funded with $300 million in state money, was executed in only six months. I appreciate the author’s well-rounded conversation for this multi-layered issue. One fundamental angle was omitted – why does one become a parent? There’s a whole litany of reasons, falling generally under the planned/unplanned umbrellas. I can only speak for myself and my spouse – we became parents because we wanted to raise children. And “raise” children means actually be with our children, at least one of us, to do the full-time child-rearing. We waited to have children until we could accomplish this in what, for us, was a financially-, emotionally-, physcially-, educationally-, spiritually-responsible way. Far from perfect, yes, but a measure of stability from the outset due to our prioritizing and planning, and, of course, luck and/or blessings. And by the way, my husband, not me, has been the mostly or totally at-home parent. I know this may draw ire – so if I don’t “give up”my career to raise my children, that’s a negative. Or if I can’t afford to stay home because I’m a single parent or two parents must work to support the household, that’s a negative. I’m not judging – I’m asking the question of “why did/are you becoming a parent?” Whatever your personal answer is, have a plan to support that decision.